The long hot days of summer are the perfect time for kids to hone their knowledge of the wizard world, King Arthur’s court or the magical land of Narnia. And while many summer reading lists are sent home with the hope that students will bone up on fiction during the dog days, reading nonfiction can be just as beneficial -- and just as exciting -- as a great novel. 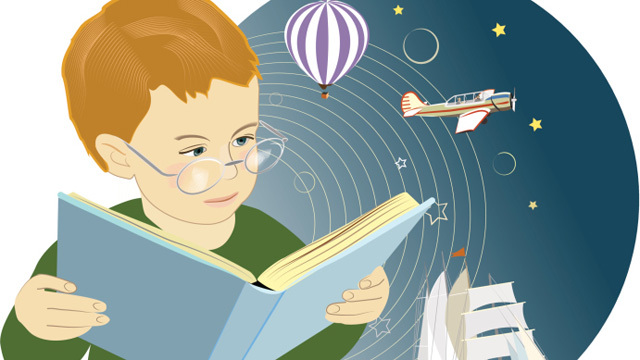 And though some kids might balk at choosing to read a “science” book for summer fun, children’s author Vicki Cobb says that’s only because they haven’t been exposed to the right books. In an effort to put more high-quality nonfiction into students’ hands, Cobb has created the iNK Think Tank, an organization of award-winning children’s authors who write Common Core-aligned nonfiction books for kids of all ages. (During the school year, iNK will even bring the authors to classrooms, via videoconference, to discuss their books directly with students.) For summer science reading, Cobb wants students to know about true stories that contain both captivating stories and science themes. Yet iNK Think Tank’s efforts to increase children’s nonfiction diets are in sharp contrast to what kids are consuming: according to a 2010 study by the Kaiser Family Foundation, children spend about four minutes a day reading nonfiction, and Publisher’s Weekly reported that, last year, kids bought four times more fiction than nonfiction. Consuming true stories might also be beneficial to kids’ academic growth. Reading nonfiction builds students’ background knowledge, which is essential to reading comprehension, according to CitizenshipFirst Executive Director (and former Core Knowledge Communications Director) Robert Pondiscio. So much nonfiction is included in the Common Core State Standards, he said, in part because “building knowledge is building literacy.” Comprehension requires that the reader know something about what she’s reading. Marie Curie: a Photographic Story of a Life, by Vicki Cobb. Monteverde: Science and Scientists in a Costa Rican Cloud Forest, by Dorothy Hinshaw Patent. Bomb: The Race to Build—and Steal—the World’s Most Dangerous Weapon, by Steve Sheinkin.